Born to a guitarist, picking up interest in music wasn’t hard for Murda Beatz; however, he didn’t do it his dad’s way. Beatz first fell in love with the drums as a little kid and during his teens, he started making beats just for the fun of it and never anticipated a whole career to come out of the hobby. Fast track to a few years later, Murda Beatz did not just discover he could turn his forte in music into a career, he has gone ahead to be credited for some banging hits like Motorsport (Migos), No Frauds (Nicki Minaj) and Nice for What (Drake). What’s more, the young music guru has worked with industry big names asides the aforementioned and has often teamed up with German production duo Cubeatz. He uses the digital audio workstation known as FL Studio to further push his brand to wider audiences. Of Canadian nationality, the music producer was born on February 11th, 1994, in Fort Erie, Ontario. He was raised by parents who expressed their love for music in such a way that it influenced Murda from an early age. According to the producer, his parents also supported his interest in music but insisted he gives attention to his studies as well. Notwithstanding the support and motivation he got from his family, Murda has not shared the identities of his parents or siblings, if he has any. He prefers to keep the attention on his career not the personal side of his life. His educational pursuit at Fort Erie Secondary School was almost squashed by his burning passion for music but his mother stepped in and encouraged him to graduate. He did finish high school but there is no record of a college venture afterward. Apparently, music finally took over the reins. He started his career full-time right after high school and has gradually built a reputation while working with top artists such as Nicki Minaj, Gucci Mane, Drake, Future, 6ix9ine, Migos, Young Scooter and Miley Cyrus. He is currently putting his second mixtape together alongside producer PYRO and the piece dubbed Keep God First 2 is expected to hit the airwaves later in 2019. 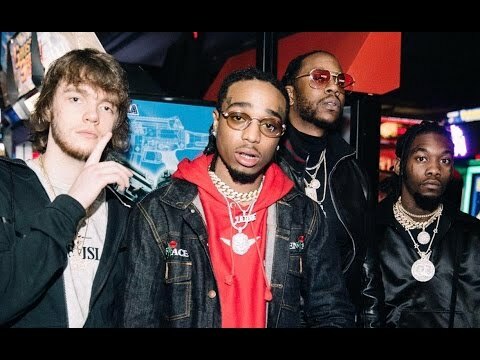 Murda Beatz has maintained an upward climb since his career started and he displays a lot of potentials as a producer and musician. The Canadian producer didn’t just stumble on the success that has become synonymous with his name, he worked hard and defied many odds to get there. Against his mother’s wish Murda Beatz, at sixteen, left his country in search of hope for his music at Chicago followed by Atlanta and many other places. At first, he would sell his beats online for a measly amount to the highest bidder just to make ends meet. The money was rolling in as his beats sold at about $500-$2,000 each until September 2014 when he decided it was time to turn a professional leaf as a producer. He now gets as much as over $50,000 worth of offers, some of which he turns down to give his brand a touch of integrity. Despite his meteoric rise in popularity, no review has been done on his salary and net worth which we believe is worth his while. Considering the amount he used to get in his formative days on the sideline, there is no doubt he is currently making a fortune out of his career as a hip-hop producer. Read Also: Khalid – Bio, Age, Net Worth, Height, Girlfriend, Wiki, Is He Gay? 1. He was given the full name ‘Shane Lee Lindstrom’ after his birth in Canada. 2. Murda Beatz was raised by music enthusiasts, his parents love rock music and passed on the gene to him but he chose hip-hop instead. 3. He works under the record label Interscope Records. 4. His first number one record as a producer can be traced to Drake’s Nice For What, one of the tracks in the Canadian rapper’s fifth studio album Scorpion (2018). Howbeit, he debuted on Soulja Boy’s remix of Rocky Diamond’s song Young N—a. 5. According to Murda Beatz, the thought that he needs to do better is what keeps his hustle going each day he wakes up.